The 14th Annual International Buster Keaton Society Convention, organised by that excellent crowd the Damfinos (if you have to ask you haven’t watched enough Keaton films yet) will be held 3-4 October, in Muskegon, Michigan (Keaton home town). Attendees this year are promised the exclusive screening of “a radically different print of a silent Keaton feature not shown anywhere in over 80 years”. 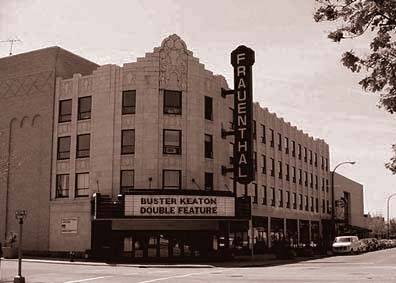 Other highlights include the lost film from the 1957 stage production of Merton of the Movies in which Keaton starred, presentations on assortedl aspects of Keaton’s career, an authors’ panel featuring George Wead, David Macleod and Imogen Smith, author of the new book Buster Keaton: The Persistence of Comedy, screenings including a double bill of Battling Butler and The Navigator, plus a baseball game played on the same ground used by Buster when a child. Full information on the convention, registration and acommodation from www.silent-movies.org/2008.